SEOUL: North Korea has acknowledged “drawbacks” in its agricultural sector this year, echoing UN reports of declining crop yields in a country that remains heavily reliant on food imports and aid, reports AFP. Agricultural production is chronically poor in the North, which has periodically been hit by famine, with hundreds of thousands dying—some estimates say millions—in the mid-1990s. Premier of the government cabinet, Pak Pong Ju, referred to “drawbacks made by some farms and units in the past” at a national meeting of farming officials that took place in Pyongyang this week, state media said on Thursday. 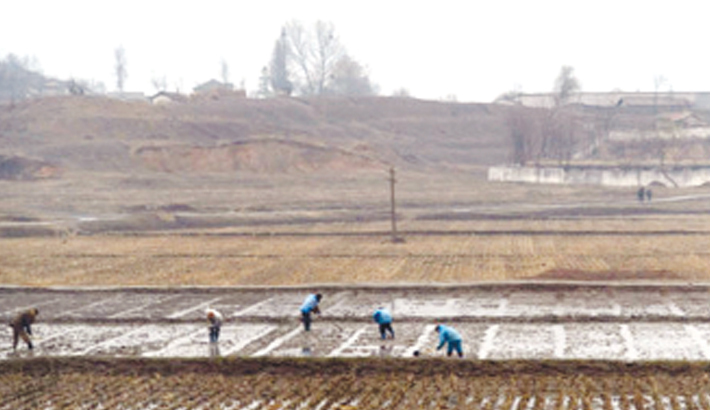 “He said that they failed to conduct seed production and management in a responsible way and also fell short of doing proper strain distribution,” Pak was quoted as saying by the KCNA news agency in an English-language report.